I welcome James Hughes as a Bansko Blog contributor. James, one of the first expatriates in Bansko, has helped many people get the best out of Bansko and Bulgaria over the years. From the mountain bike rally to the opera festival, James has a passion for extending the appeal of the Razlog valley to many more people. He has my huge admiration for his tenacity as well as his good taste in food and wine. In his blog post below, James reveals his thoughts on Bansko’s future — including details on the extent of further piste development that could be permitted under UNESCO rules. As we go into winter ski season 2011/2012, the fortunes of Bulgaria’s formost ski resort look set. Bansko will host two starts for the Alpine skiing World Cup and is working towards hosting an European Cup Biathlon event which is being lobbied for by Bansko’s Olympic bronze medalist Irena Nikulchina. For such a small resort in south east Europe these international events are huge publicity and, many would say, a guarantee of success. What appears to be a success story on the surface is, in reality, a town right on the edge. I have given an overview below. Bansko has shot to international fame for being one of the few new ski resorts built in the last decade, this fame has led to massive foreign interest in investment and tourism. What was once a small sleepy mountain village of 9,300 residents, with a couple of pistes in 2003 is now a very modern ski resort with 75km’s of piste and some of the best state of the art infrastructure in the world. The demand for skiing and ski property in Bansko has been huge, with queues for the gondola lift of up to four hours at peak times. The total bed capacity in Bansko is unknown but conservative estimates vary from 40,000 beds to 70,000. In the Razlog Valley as a whole that number could be as much as 120,000. This huge over supply of beds has led to a rapid devaluation of accommodation, both for the rental market and sales market. Rooms that could be rented out for €55 euros per night B&B five years ago are may now rent for €20. Apartments that once sold for €2,100 euros a sq. meter are now being dumped for €350 euros / m2. We are starting to see banks lose patience with hoteliers as mortgage loans cannot be repaid. Some big hotels are going to the wall. This summer has seen at least four of the biggest 4 star hotels in Bansko in difficulties. Mass illegal exploitation of apartment blocks as hotels has been a huge blow to the legitimate economy and the town’s reputation as an investment destination. Apartment owners are finding that their flats have been used all winter as hotel rooms and are receiving little or no incomes from the “management” companies but are having to cover all the costs. These illegal “arpart hotels” pay no VAT, Profit Tax, Tourist tax, National Insurance for their staff and, worst of all, have no licences — so do not comply with any fire or health and safety regulations. Reputable firms are ending up tarred with the same brush as these grey bussiness’. There is no need for new legislation to deal with the problems of the grey economy in Bansko there is plenty of law pertaining to grey business but what are laws if they are not enforced. At every level of the Bulgarian civil service people have been informed but no one is willing to stand up and address these problems. Unfortunately the town council have limited experience in international tourism, bussiness and finance. They remain dumb in the face of these challenges. One of the few people who seem to be keeping a steady hand on the wheel is Mayor Kravarov. Party politics in the town council and in Sofia mean that even though he might have the right idea he lacks the support at a local and national level to make the serious changes that Bansko needs. Bansko’s problems are not solely a matter of the grey economy taking bread from the mouths of the white. There are huge issues with success! Bansko has done so well and become so loved by so many tourists that now we stand at a cross roads. Which Path For Bansko Town? Down one road the development and expansion of Bansko stagnates. As tourist numbers exceed capacity guests become disappointed by the queues and the obvious strain that the ski area is under. The management company tries to mitigate these problems by raising prices for peak periods to slow down demand and Bansko loses it’s budget label. Tourists move on to the next new place and slowly Bansko decays as it tries to be a luxury ski resort in a budget destination. 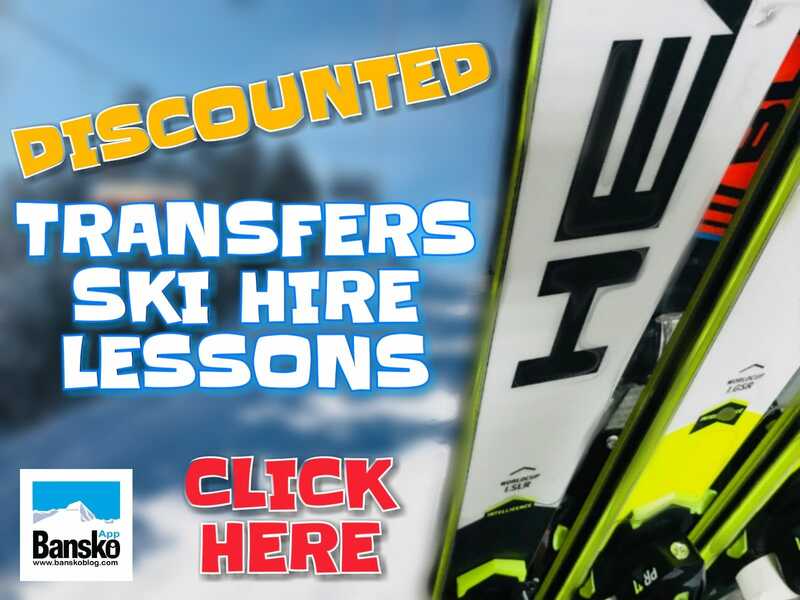 This process has already started, room rates in Bansko are plummeting, but it is still cheaper to ski in one of the mega resorts of Austria, at certain periods, than Bansko. Food prices on the mountain have spiralled upwards and quality downwards. Lift prices and queues bear no resemblance to the resort size….Down this road lies doom! Down the other road may not be doom; but a very tough few years are certain. There is no easy solution to our problems, no magic wand. However, with a few tough decisions and some strength in the right places, I see a future here that could be both sustainable and profitable. Step 1: Restore investor faith in real value. For a set a period of time (I would suggest.25 years) ban all new building of ANY sort in the towns of Bansko Razlog and Dobrinishtay. There is a huge glut of unsold, unfinished and half built property in the region that any demand for new property be it factories, officies, shops or flats could be met. By banning all new building this would slowly create worth and true/real value in the real estate in the region. Restricting supply to raise value is such a basic yet effective concept. Step 2: Create BANSKO. 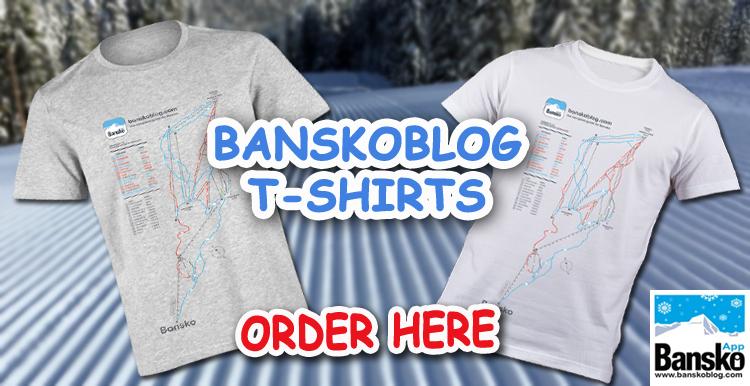 We have the town of Bansko, old and new, and we have Bansko the ski area. But where is the greater idea Bansko what are we aiming for? Where are we going? At a national level this decision needs to be made and then a 20 or 25 year plan laid out. BANSKO could be a jewel in the crown of Bulgaria, UNESCO and EUROPE would accept 12.5% of Park Pirin developed into a ski zone. 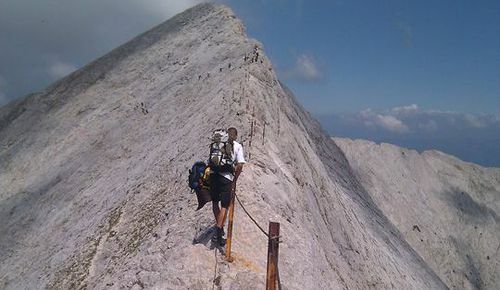 At the moment Pirin has just 3.5% of its area set aside for tourism. I support expansion — as long as there was a balance. I suggest for every m/sq.of park handed over for tourist purposes 2m/sq be bought on the edge of the national park to work as a buffer zone. 12.5% would allow for 300km of pistes which could translate into 20,000 or 30,000 tourists. This number is still a long way short of the total bed capacity in the region . Law enforcement could remove a huge number of illegal beds or simply generate tax incomes from those beds. If Bansko could aim for 90% of all guests staying here being in legal accommodation the municipal budget would be huge. This vast reserve of wealth could then be spent on creating summer Bansko. Which in turn would create wealth. Thus we end up in a spiral of growth and controlled development. These ideas are not new, or even my own, these are just basic concepts of capitalism and free market economics. If the people in power have no idea of these concepts, the battle will always be about how big is my slice of cake rather than everybody working together to make the cake bigger. Thank you James for contributing to Bansko Blog. I look forward to hearing more of your comments on both the joys of Bansko as well as areas for improvement. In the meantime, readers should check out out James’ Bansko hotel, the Avalon. Do you agree with James? 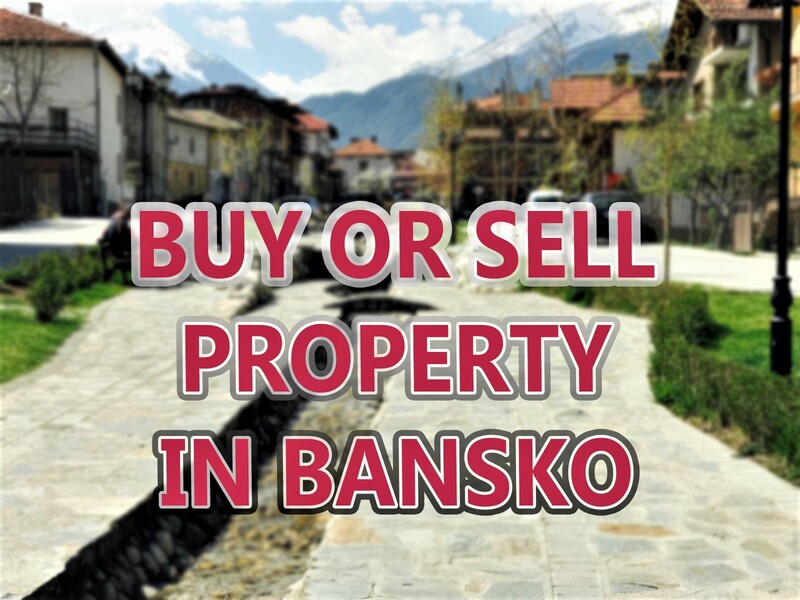 What do you think should be Bansko’s future? Please have your say below. You all forget one thing. Global warming there will be no snow and the snow cannons will not work as they only work when below freezing. Thanks to china and india and USA and even the UK and the rest of the world burning coal and oil more every month as the world expands. Bansko is to far south on latitude. So do not worry you can tear up the whole national park to build more ski slopes but you will never i repeat never keep up the the speed they build more property so why bother, stop dreaming and face reality and cut your losses. Give your property to the poor Bulgarians. It is not there fault there country is a totally corrupt basket case but at least it would be of some use for them to live in. I am optimistic for the future and more ski areas. For the time being please forgive me for being so immodest to say that I think the live streaming web "Q" cam on this site will be helpful in reducing queues. It is a well used method of queue management to let the demand side regulate itself via a camera. So people go to web cam and decide if they will to joining the queue or wait — or go earlier or later. It is often really surprising how time critical arriving at the lift can be. Great article. Still current and to the point even in 2015. Despite the ups and downs this place has had, I still Love Bankso, it is a great place to ski. I am optimistic that Bankso will improve and get back on track.